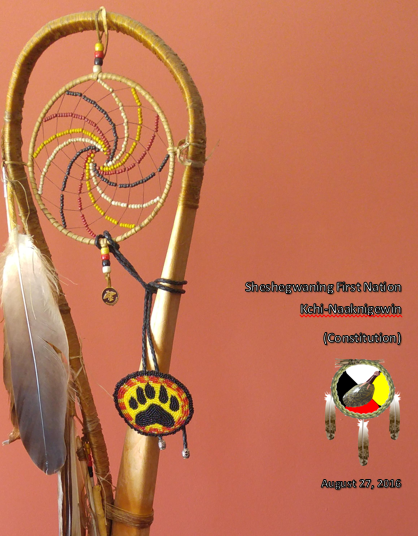 We are the people of Sheshegwaning, of the Odawa Nation of Anishinaabek, who have been here since time immemorial, placed upon this continent by the Creator along with the gifts of our language and spirituality, and religion, and the gifts of the Earth, Water, Air, and Fire. We have a sacred responsibility for the use and maintenance of these gifts and the gifts the land provides and to live in harmony with the land and with each other, for our children and future generations. Sheshegwaning First Nation faces an exciting opportunity, however it’s probably not the kind you’re thinking of. This opportunity that has been in the works for the better part of 15 years, is one that comes with a real chance at prosperity and sustainability. This opportunity is about Nation Building. 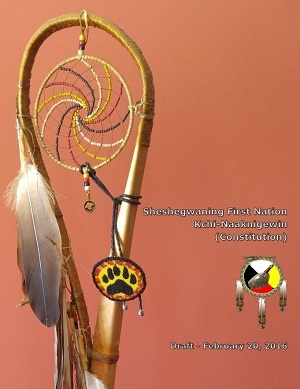 On February 20th 2016, Chief and Council were very proud to approve what we feel is a consultation ready draft of Sheshegwaning KChi-Naaknigewin (Constitution). KChi-Naaknigewin was drafted by the people of Sheshegwaning, for the people of Sheshegwaning, and makes strong statements about our identity, values and our right as sovereign people to govern ourselves. Why should you care about KChi-Naaknigewin? It’s all about “Who’s calling the shots?” Right now it’s some bureaucrat at INAC. We have to rely on and abide by another government’s institutions and rules to get things done. We have an opportunity to change that. Through law-making and stable institutions of government, we can create an environment where we are calling the shots; one where we manage our own destiny instead of having it dictated to us. In closing, I hope that we can count on your participation in this consultation process, and to join us again on August 6th 2016 to ratify Sheshegwaning KChi-Naaknigewin. Miigwech.